Photos from the Friday, May 10, 2013 event. 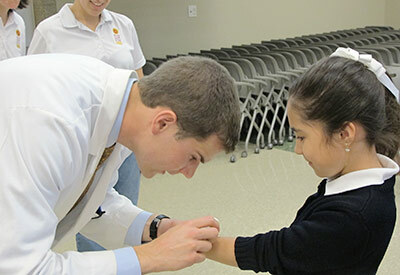 The Loyola Dermatology team, under the direction of WDS Board member Becki Tung, MD reached out to 400 students (1st-3rd graders) including Transitional (ESL) and special needs students and over 30 faculty and administrative staff members at Lincoln Elementary School. 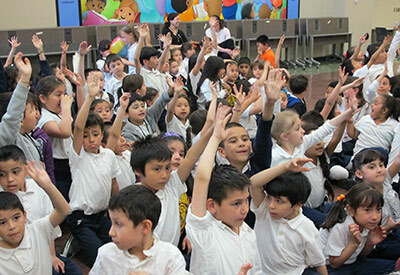 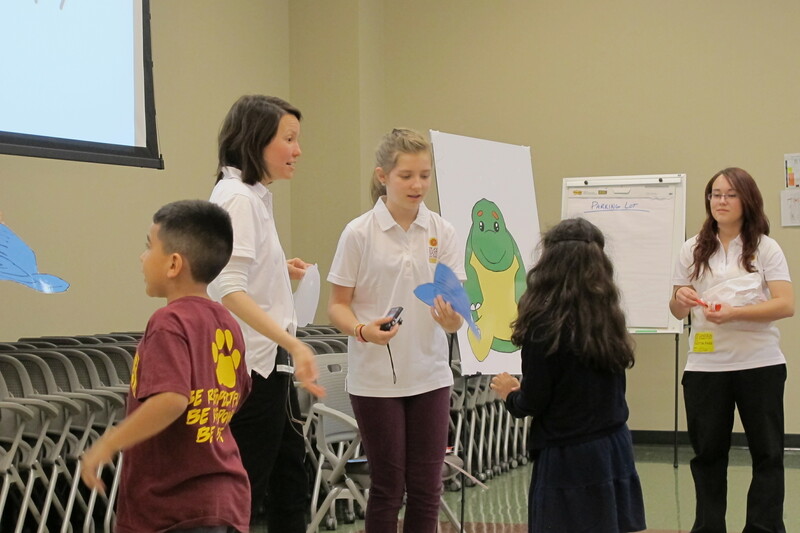 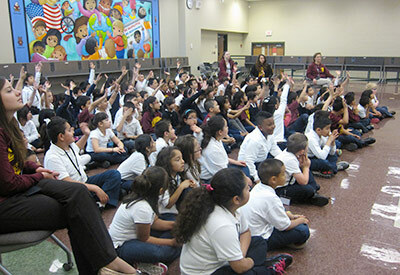 The eager children experienced an interactive program simultaneously in English and Spanish. 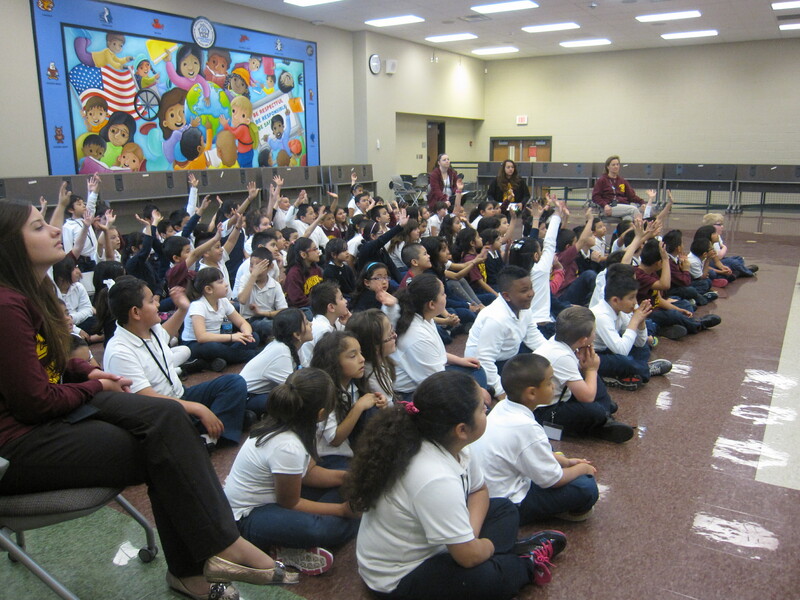 Lincoln students did not miss a beat while correctly answering "quiz" questions volleyed in either language! 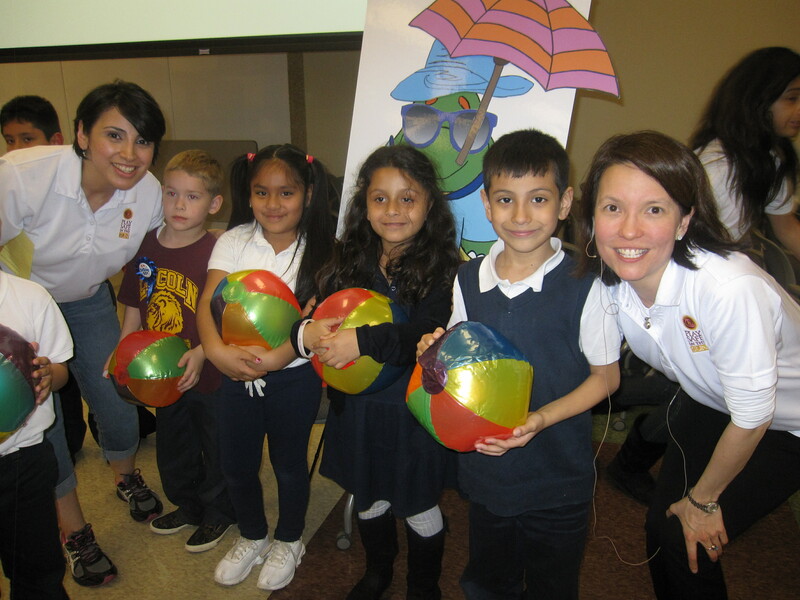 Students received 430 goodie bags containing TOPS Sun Safety Tips in English and Spanish, UV bracelets, sunscreen samples, mini beach balls, and candy.ASA books were given to all teaching faculty for future classroom use and reference. 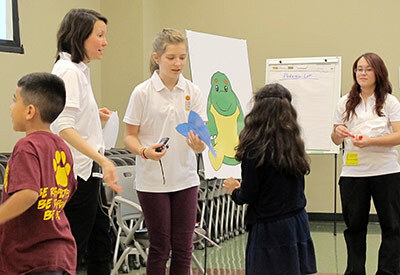 Through the WDS/LaRoche Posay TOPS grant, a shade structure has been ordered and will have a new home in one of Lincoln School's interior courtyards so that students may enjoy the great outdoors in a sun-safe way during outdoor lessons. 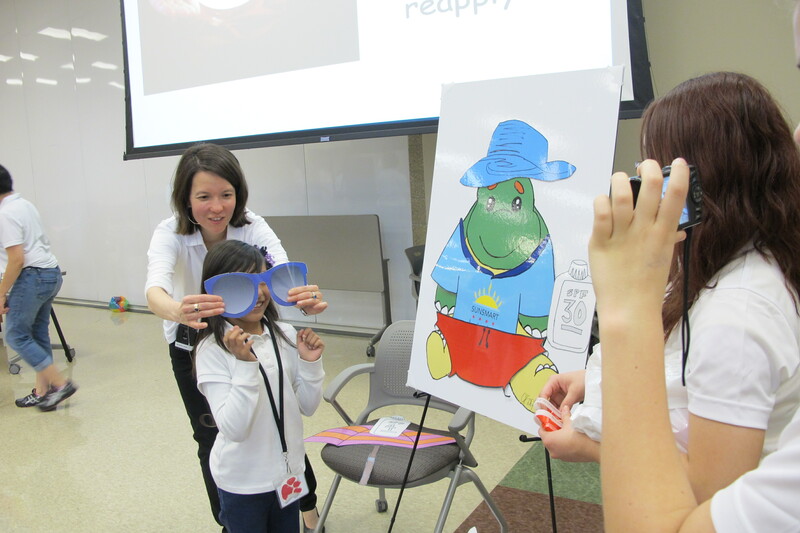 Special thanks to WDS TOPS chair Becki Tung, MD, Lexi Higareda, CMA, Cindy Krol and the entire team from Loyola Dermatology for making this outreach such a fabulous success! 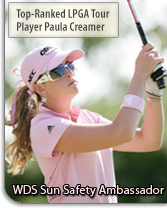 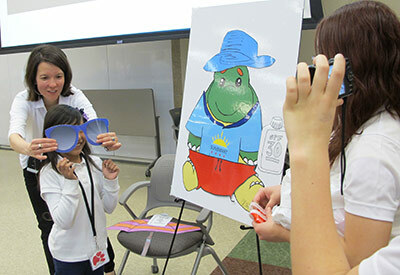 Sun protection, anyone? 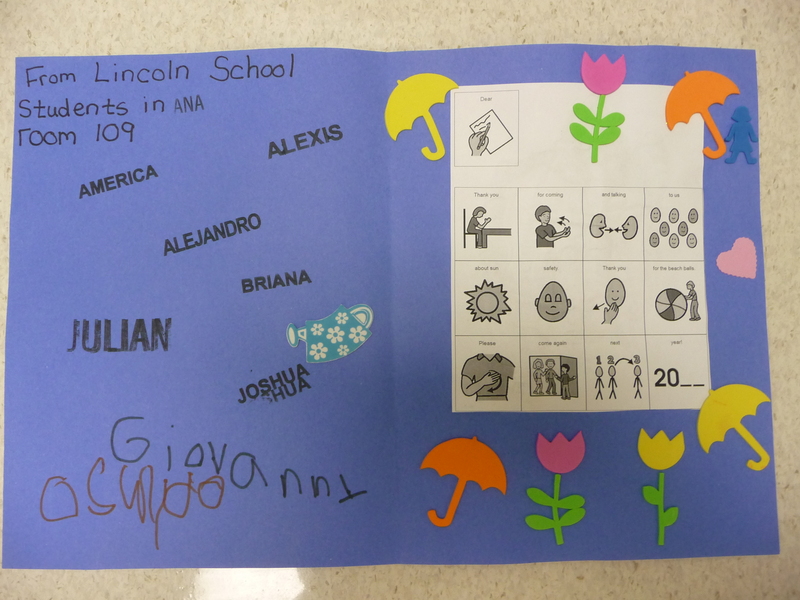 The third graders at Lincoln Elementary School were on it! 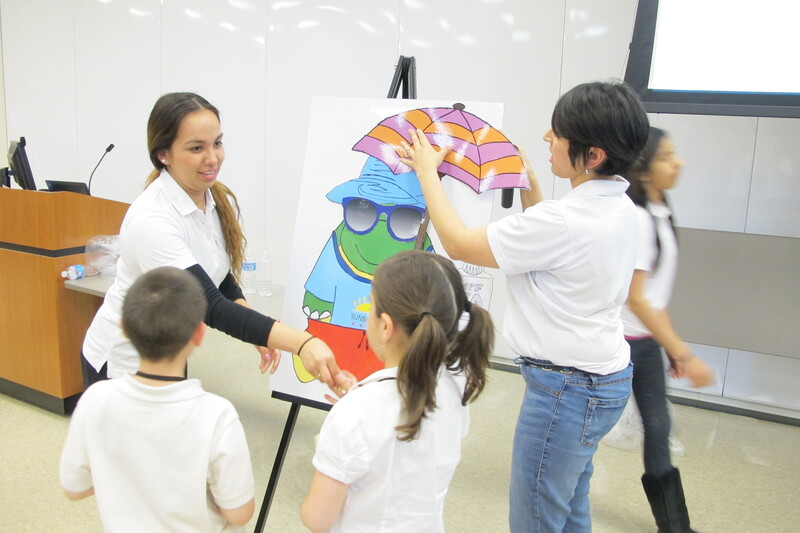 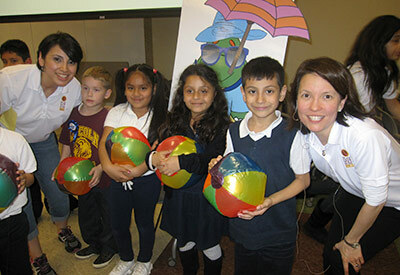 Sun safety education is fun, thanks to Dr. Becki Tung (right) and Lexi Higareda, CMA (far left)! 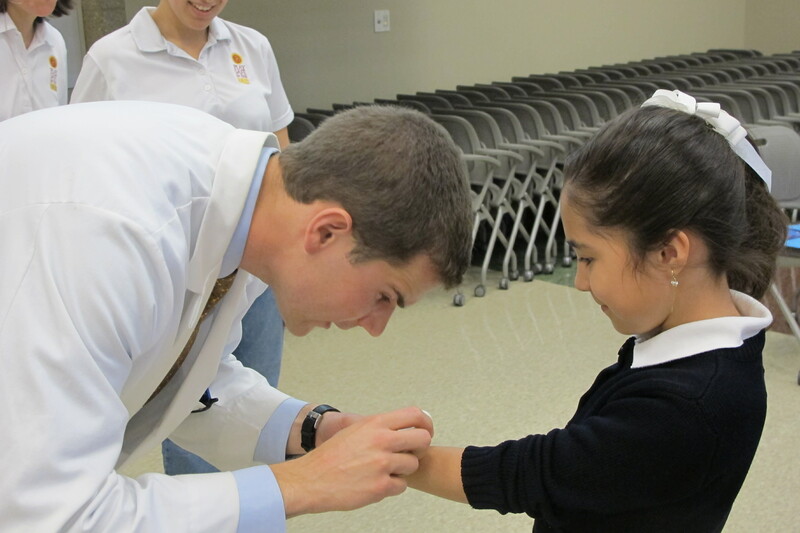 "Dr. Dan" aka Loyola Stritch medical student Dan Opel, demonstrates the fine art of mole examination during the TOPS outreach at Lincoln Elementary School this Spring. 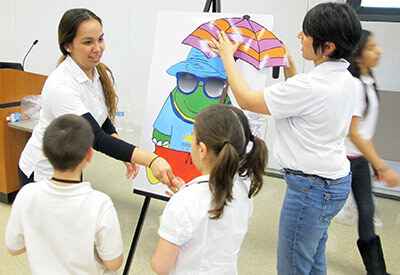 Lettie Fulgencio, CMA and Lexi Higareda, CMA lend a helping hand at Lincoln Elementary's TOPS outreach. 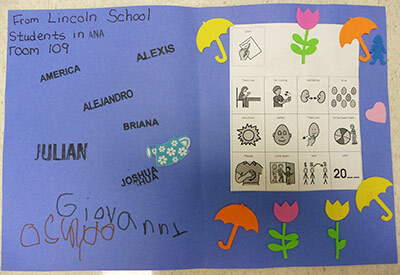 A big thank you from Lincoln Elementary School for the sun-proofing!